Williams v. Peninsula Reg’l Med. Ctr., an appeal heard before the Court of Appeals of Maryland, involved plaintiff who, at age 34, was brought to a local emergency room suffering from suicidal ideation and auditory and visual hallucinations. Plaintiff’s mother brought him to defendant’s hospital in April 2009, where a doctor and mental health professional evaluated him. Despite the fact he was alert and able to cooperate during the examination, he informed the medical professionals that he was communicating with “the lord” and also believed his ex-girlfriend had placed a curse on him. He also said he had become blind when looking at a text message from her while he was in the emergency room. Doctors also noticed cuts in the inside of plaintiff’s arms and the fact that he tried to minimize any of the situations he believed he was going through. After the examination, he was discharged to his mother’s custody, who was told she should remove any firearms from the home. He was diagnosed with insomnia, fatigue, and “bizarre behavior.” He was then given Ambien to help him sleep and told to return to the emergency room if he thought he would hurt himself or other people. As soon as he was out of the hospital, he ran away from his mother and went to a restaurant with his children and their mother. After leaving the restaurant, plaintiff demanded the mother of his children pull her car to the side of the road. He got out of the car and seemed to disappear. He wandered the streets for a few hours and then broke into a residence. The homeowner called the police, and, when they arrived, he walked into the front yard carrying a knife and yelling at the police, asking them to shoot him. He said he wanted to die and wanted the police officers to kill him. Plaintiff then ran at the police officers, who soon gunned him down. 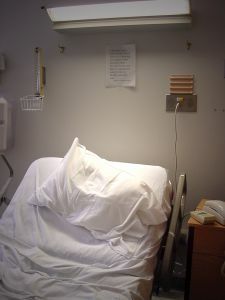 Plaintiff’s surviving family members filed a wrongful death lawsuit, alleging that the hospital should have admitted him instead of releasing him to the custody of his mother. As our Boston wrongful death attorneys can explain, in this type of action, the surviving family members must open a probate estate for decedent and then the personal representative (executor) can file the lawsuit in the name of the estate. Prior to trial, healthcare workers argued they were immune from liability based upon a state statue and because plaintiff failed to show that, even if they were negligent in releasing decedent, it was the proximate cause of decedent’s death. The court granted this motion and dismissed plaintiff’s lawsuit. Plaintiff appealed this ruling, and, on appeal, the court held that defendants were not liable in this particular case, because it dealt with an involuntary admission. Based upon pleadings and depositions, it became apparent that decedent wanted to leave the hospital, and his mother wanted him to be admitted. This is a different situation from a patient who is willing to be admitted and told that his is okay and should go home.